With bids accepted, construction began on 26 April 1962. Areas within the Liberty Street station were designated as first-aid rooms, kitchens, generators, decontamination showers and “dead body storage.” Wooden benches provided the only sleeping accommodations for the 500 planned occupants during their stay of up to two weeks. And that raised another issue. 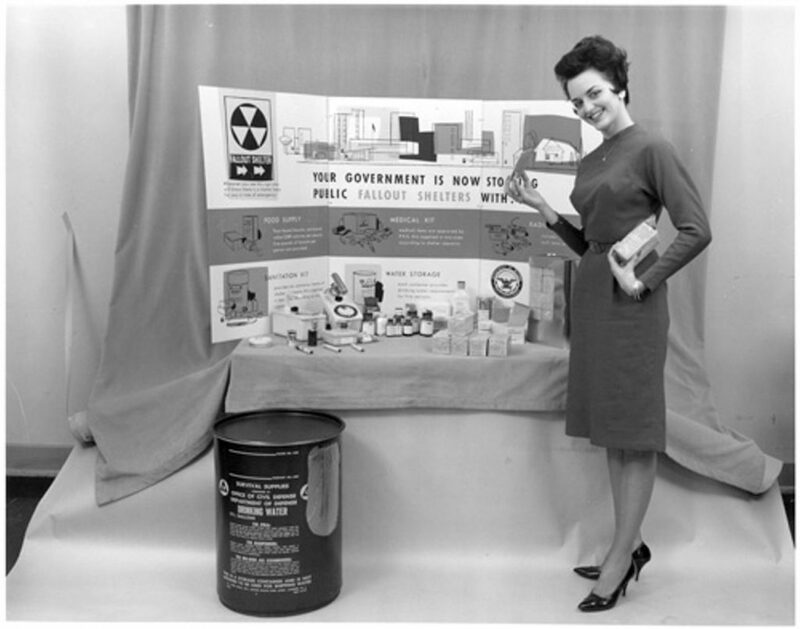 In the event of a nuclear attack, how would citizens get into the secure fallout shelter? Who had the key? Eventually, workers found the vandals’ access point. Construction of the Millcreek Expressway, now known as I-75, had gouged a hole in an above-ground section of the subway tunnel, providing ready entry to the entire system. Despite all the snafus, the Hamilton County Civil Defense office hosted an open house for the subway fallout shelter on Christmas Eve 1963. The shelter was not entirely finished and it wouldn’t be officially recognized or stocked with emergency food supplies until security was tightened and random holes plugged. The local office was really proud of the project but the intended beneficiaries – Cincinnati residents – were not impressed. Almost no one showed up to tour the brand new $54,177 shelter. Nor did anyone other than vandals pay much attention to the shelter for the next 28 years, when it was quietly decommissioned. Throughout the brief life of the unused shelter, one question kept popping up: How can people, in an emergency, get into a locked fallout shelter? In the event of nuclear war, in other words, who had the key? Photos of the derelict fallout shelter as it looks today can be found on Zach Fein’s blog. This article was reposted with permission from Greg Hand, editor of Cincinnati Curiosities.